Very beautiful Mansion dating from the 17th century enjoys an exceptional location, right next to the Roman Amphitheater of Arles. More than 280m2 of living space, the property offers the rare privilege of having a garden with swimming pool in the city center. Fully equipped kitchen, dining room, living rooms with fireplaces, 5 bedrooms with bathrooms, study and cellar. This building has retained all its charm with old materials (French ceilings, cement tiles, beautiful stairs and stone fireplaces, large cellar ...). 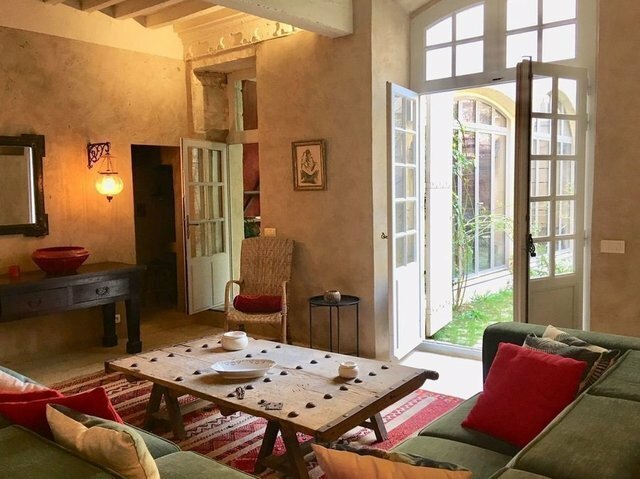 In addition, it has a large terrace of over 25 m2 with panoramic views over the rooftops of Arles. A real favorite!